Warwick Thornton’s Sweet Country is among the best Australian films to ever grace the Venice International Film Festival, according to one of the festival’s regional consultants. Sweet Country had its world premiere at Venice earlier this year, screening as part of the festival’s official competition, and went on to win the Special Jury Prize. From there, the film has subsequently won the Toronto International Film Festival Platform Prize, Best Dramatic Feature film at the ImagineNATIVE Film Festival in Canada and the audience award for Best Fiction Feature at the Adelaide Film Festival. It has also recently been nominated for three Asia Pacific Screen Awards, the most ever received by an Australian film. Paolo Bertolin, who is Venice Film Festival’s international consultant for South and South East Asia, Oceania and Turkey, visits Australia each year at Screen Australia’s invitation to view and recommend films onto the festival’s artistic director Alberto Barbara and his committee. “In my job, what makes me happy is when something like Sweet Country happens,” Bertolin told IF on a recent visit down under to Adelaide Film Festival for the film’s Australian premiere. Set in the Northern Territory in the 1920s, Sweet Country is based on a true story of an Aboriginal stockman who murders a white station owner in self-defence. Produced by Bunya Productions’ David Jowsey and Greer Simpkin, it stars Hamilton Morris, Natassia Gorey Furber, Sam Neill, Bryan Brown, Ewen Leslie and Matt Day, and was written by David Tranter and Stephen McGregor. Bertolin describes Sweet Country as a “humane” and “complex” film. He was drawn to pre-select it for Venice because it is an ambitious, historical feature that deals with the fall out from colonisation from the perspective of an Indigenous filmmaker. 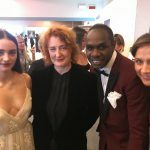 “I believe in the case of Sweet Country or other very important films, it’s a mutual pleasure and an honour for the festival and the filmmakers to establish a relationship,” he says. In particular the consultant says the world premiere of the film in Venice, where it received a standing ovation, was “extremely moving”. Matt Day, Warwick Thornton, Bryan Brown and Sam Neill at the Venice Film Festival. “Many people were in tears. There was a very long applause – and there’s always long applause at the end of the film in official screenings in Venice or Cannes – but this felt really heartfelt. You could feel the emotion, you could feel the respect, the admiration and a great feeling of endorsement and empathy towards the film,” says Bertolin. Other Australian films that screened at this year’s Venice Film Festival included West of Sunshine, Jason Raftopoulos’ feature debut, which competed in the Orizzonti (Horizons) section dedicated to new trends in world cinema. It follows a father who has less than a day to pay back a debt to a loan shark while trying to look after his young son. Bertolin says West of Sunshine is a small film, but one that is both refreshing and heartfelt. Michael Leonard’s short The The Knife Salesman also screened in Orizzonti – Short Films and Strange Colours, from writer-director Alena Lokina, also played in Venice as part of the Biennale College, an internal festival program which provides a training in low budget filmmaking. 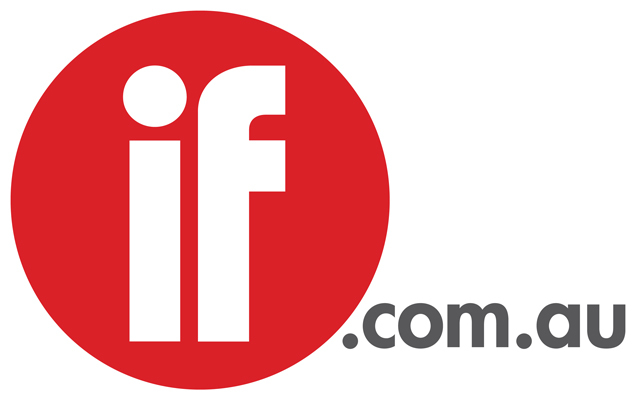 Bertolin believes the four Australian films selected for this year’s festival gave a “very varied and exciting” view of contemporary Australian cinema. He feels that in the last five or six years, there seems to have been a generational renewal among Australian filmmakers, with a lot of new directors exploring unexpected subjects or means of expression. He notes that many of Venice’s Australian selections of late have been from first or second time filmmakers, with the notable exception of Mel Gibson’s Hacksaw Ridge. “The first film that I brought to Venice back in 2011 was Hail, Amiel Courtin-Wilson’s first [narrative] film. It was the first time in eight years – almost a decade – that there was an Australian feature in Venice,” says Bertolin. Bertolin is “quite happy and proud” that the independently organised sections of the festival, Venice Days and Critics Week, have also in recent years showcased what he calls “important films” like Tanna and Hounds of Love. “I think Venice has been, these last four or five years, a very good platform to showcase what is going on in Australian cinema in a surprising way,” says Bertolin. He is curious to see how films like Sweet Country, to be released in Australia in January by Transmission, and West of Sunshine, whose distribution is being handled by Exile Entertainment, perform theatrically. Bertolin hopes to return to Australia to assess more films next year, though he says it won’t be easy to find another Sweet Country. His advice to Australian filmmakers looking to submit their films to the Venice Film Festival: films submitted via Screen Australia receive a fee waiver; submit a Vimeo or digital link to your film rather than a physical DVD or Blu-Ray; and perhaps most importantly, subtitle your film in English. Sweet Country will be released nationally by Transmission Films January 25.